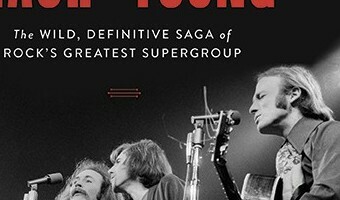 David Kirby, The Washington Post Published 9:53 am CDT, Thursday, April 18, 2019 Crosby, Stills, Nash & Young: The Wild, Definitive Saga of Rock's Greatest Supergroup Crosby, Stills, Nash & Young: The Wild, Definitive Saga of Rock's Greatest Supergroup Photo: Da Capo, Handout Photo: Da Capo, Handout Image 1 of / 1 Caption Close Image 1 of 1 Crosby, Stills, Nash & Young: The Wild, Definitive Saga of Rock's Greatest Supergroup Crosby, Stills, Nash & Young: The Wild, Definitive Saga of Rock's Greatest Supergroup Photo: Da Capo, Handout Book World: Crosby, Stills, Nash & Young were completely dysfunctional. And so successful. 1 / 1 Back to Gallery Crosby, Stills, … [Read more...] about Book World: Crosby, Stills, Nash & Young were completely dysfunctional. And so successful.